The sliding panels of the glass sliding wall provide continuous and transparent glass surfaces without any lateral frame elements. All functional components are concealed in the top and bottom door rails, while convenient clip-on covers in various materials and colour shades cover all visible surfaces. an innovative fully glass sliding wall that enables architects and designers to create flexible entrances and display windows. When the system is opened the doors and panels are stored in parking bays, creating large spaces for traffic. 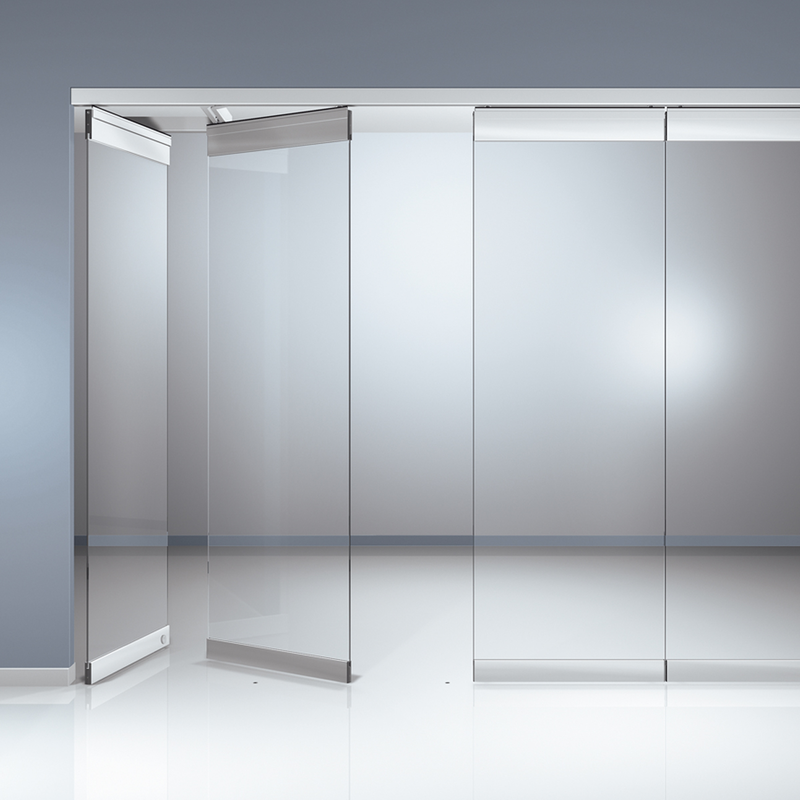 Any or all of the sliding panels can be equipped to act as a single or double action swing door when the system is closed. Sliding glass partition system is ideal for shop fronts and internal partitions and can cope with complex designs including curves. Ceiling mouned system, so there are no floor channels or guides. It can be used for walls that reach 4 m hight. We take pride in delivering complete solutions and working closely with our customer base to ensure complete project satisfaction.